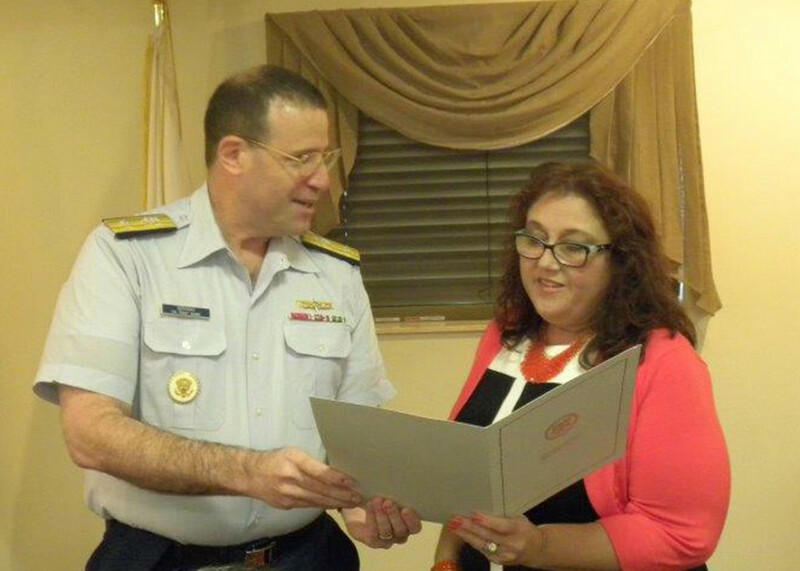 Amy Beavers, right, accepts the appointment from Rear Admiral Joseph Servidio. Amy Beavers, vice president of regulatory compliance at the Florida-based private school Maritime Professional Training, was named vice chairwoman of the Merchant Marine Personnel Advisory Committee by Coast Guard Rear Adm. Joseph Servidio. The committee advises the secretary of the Department of Homeland Security, via the commandant and Coast Guard, on matters related to the training, qualification, licensing, certification and fitness of seamen in the merchant marine in national and international service. Former Homeland Security Secretary Janet Napolitano appointed Beavers to the committee in February 2013. Beavers directs all of Maritime Professional Training regulatory compliance matters, ensuring that course offerings, licensing and maritime certification requirements are meeting national and international standards. She has served on several boards during her career and has represented the maritime industry as a member of the public at the committee meetings and working groups since 1998 and by serving as vice president of the Maritime Education Standards Council. “She has proven immeasurably valuable to us at MPT, and I know her leadership, knowledge of the issues and interest in moving forward on the issues that matter to MERPAC will continue to be evident as she takes up the role of vice president,” Maritime Professional Training chief operations officer Capt. Ted Morley said in a statement.